The roaring '20's meets the glamorous '40's with this fabulous side tiara. Simply divine, this Austrian crystal encrusted side tiara takes inspiration from the roaring 1920's with a touch of Hollywood glamour from the 1940's. 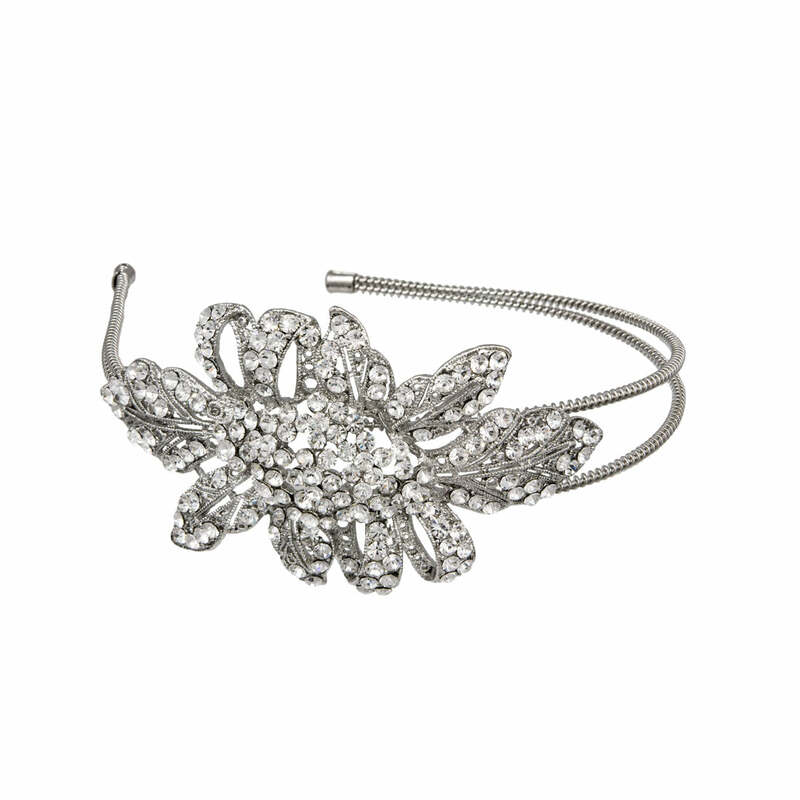 Featuring a dramatic side floral adornment adorned with clear sparkling Austrian crystals and set on a double band, it's fabulous for special occasions, the races or for wedding guests who prefer to wear an hair accesory instead of hat. Brides who adore statement antique tiaras with heirloom status will adore this 'piece', which compliments vintage style wedding gowns to perfection. All I can say its stunning and very good value for money. Looks better in real life the the photo due to the beautiful detail.